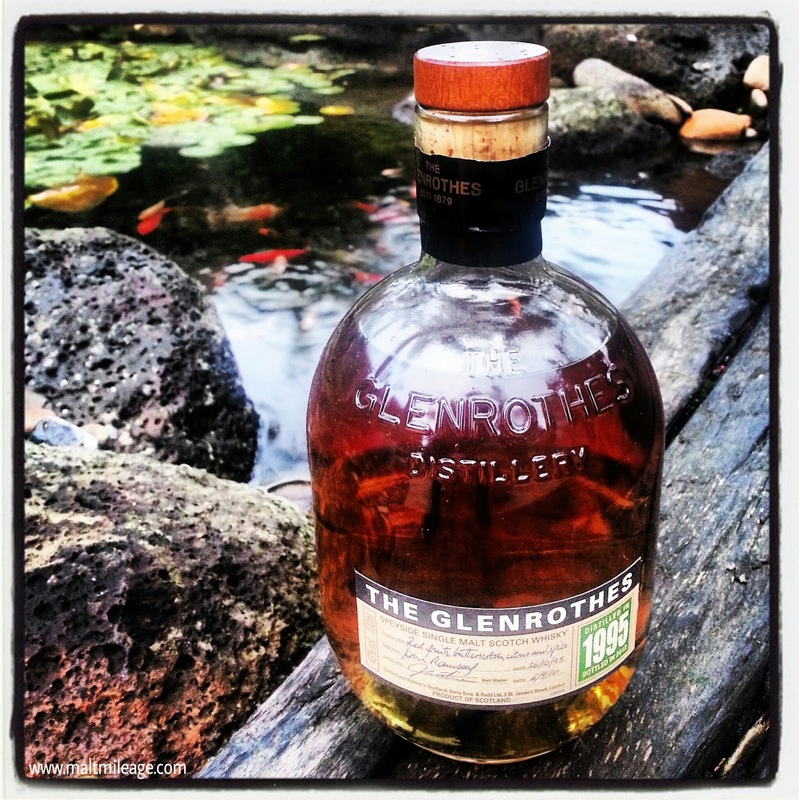 This Glenrothes (26/10/1995-6/9/2010) offers a beautiful malty theme that is in line with the Glenrothes character – very well done. Nose: Malty, the aroma of luscious malt mingles with ripe peaches and dried apricot layered with herbaceous manuka honey and sugary sap with notes of bark spices such as soft cinnamon and mace. Taste: The palate is graceful and elegant with a surge of that malty goodness that is brightened by golden honey and crisper spices (vanilla bean, cinnamon) that ignite for a short period only to be interrupted by a sudden gust of bitter oak. The blunt spices identified on the nose morph into less earthy but sharper bakery spices on the palate; the mace develops into nutmeg and cinnamon flashes more brightly. In line with this theme the herbaceous manuka honey on the nose loses its herbal and earthy qualities to take on a more sugary organic golden honey which sparkles with the waxy sweetness of natural honeycomb of the highest order.